Lee Anthony said he went to Anthony Lazarro's apartment at Sutton Place around midnight to pick up Casey's Laptop and belongings. He said the Laptop really belong to Cindy but Casey was using it. Lee Anthony said he got Casey's Laptop, a large leopard print duffle bag of clothing, a white backpack w/pattern symbol, a large purse w/female items and a slender black bag used for the Laptop and some paperwork. 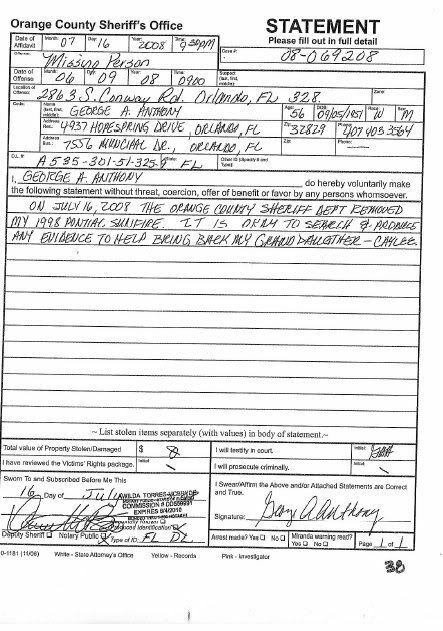 Lee Anthony said Amy's checkbook was apparently in Casey's bag also but it was removed and sitting on Tony Lazarro's dresser. Tony told Lee that Amy was coming to his apartment the next day to get her checkbook that Casey stole. .
Andriana Acevevo said they arrived at the Sawgrass at 12:05am 07/16/08 and they left the Sawgrass at 12:14am, returning to Hopespring at 12:25am. Casey Anthony never left her vehicle and just pointed to where apartment #210 was. The trip there and back took 35 minutes. George said Lee brought back a black vinyl bag from Lazarro's apt that Casey had cosmetics in. Cindy dumped the stuff in the bag on the floor, there was cash, J.C. Penny and Sears credit cards. George said Cindy grabbed the cash/credit cards. Cindy Anthony said when Lee returned from Anthony Lazarro's apt that she dumped Casey's backpack on the garage floor. Cindy found a J.C.Penny & Sears credit cards, $160-$200 cash in a wallet. Cindy asked Lee if he minded if she kept the cash. Lee Anthony found 22 receipts of financial transactions of Casey's that Lee gave to Casey's attorney. 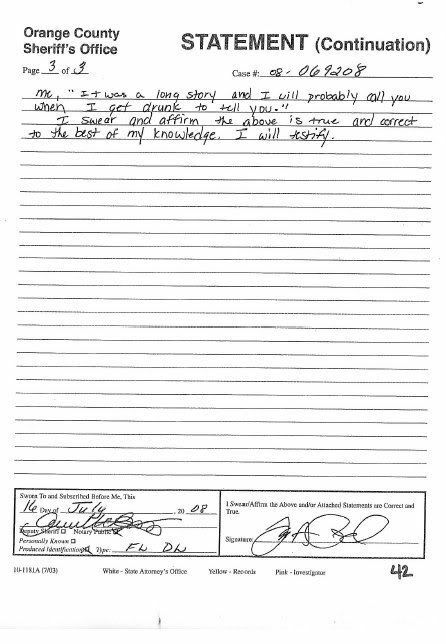 Lee said the attorney allowed him to review the receipts. Detective Yuri Melich interviewed Casey Anthony at Hopespring Drive. She said she lost a 2nd cell phone that has Zenaida number that was not saved to the SIM card. She left phone on her desk at Universal but she said she hasn't been to work for the last 3-4 days. Detective Yuri Melich interviewed Casey Anthony at Hopespring Drive at 04:11am in a room known as the computer room. Melich gave Casey the option to change her original story or stick to the one on her statement, Casey replied: "It's the story I'm gonna stick with yes." Casey Anthony told Detective Yuri Melich she dropped Caylee at Zenaida Fernandez Gonzalez at the Saw Grass Apartments on Conway and Michigan. She said she's known Zenaida almost four years Christmas. She met Zenaida through a mutual friend, Jeffrey Michael Hopkins. Casey Anthony told Detective Yuri Melich she lost her phone at work and her numbers were not saved on the SIM card. The phone was last seen on her desk at Universal Studios but she said she hasn't been to work in the last 3-4 days. 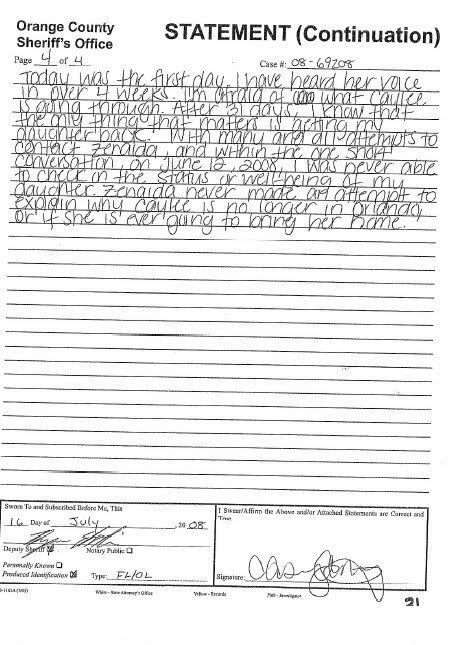 Casey Anthony told Yuri Melich she got off work at Universal (Statement shows 06/09/08 but 31 days is 06/15/08), she drove to the Sawgrass to get Caylee, knocked on the door but no answer. She tried calling Zenaida but the phone was no longer in service. Casey said Zenaida had prior apt on Glenwood but had been at the Sawgrass for the last 3-4 months. Zenaida also lived with her mom for a while (Off Michigan). 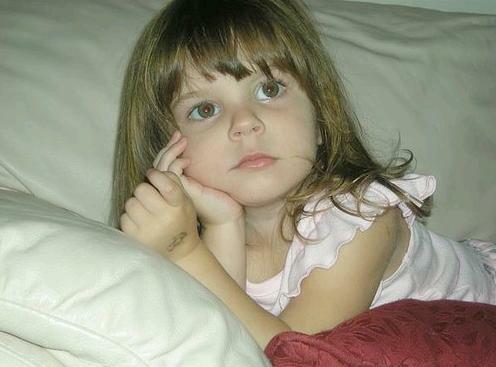 Casey said she told co-workers Jeffery Hopkins and Juliette Lewis about Caylee missing. Casey Anthony said she was doing her own investigation to find Caylee, going to places like Fusian Ultra Lounge and couple other Orlando bars where Zenaida hung out and asking if anybody seen her nanny. 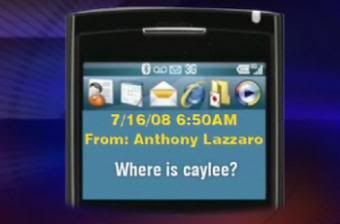 Tony Lazarro: "Where is Caylee?" Tony Lazarro: "Y wouldn't u tell me of all people I was ur boyfriend that cares about you and"
Tony Lazarro: "ur daughter. Dosnt make sense to me. Why would u lie to me thinking she was fine and with your nanny?" "Who is this Zanny nanny person"
Casey's Cell Text: "Caylee is missing. She has been for 32 days now. Please if you have any information call me on my cell or at home." 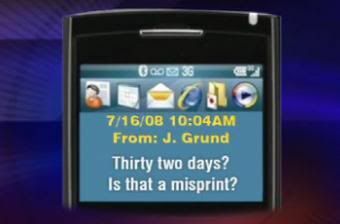 Jesse Text: "Thirty two days? Is that a misprint?" Detective Yuri Melich sent Sergeant John Allen and Detective Appie Wells to pick up Casey and take her to Universal Studios, a 30 minute drive from Hopespring Drive. Casey said she even tried TWICE this morning to send an e-mail to Zanny but the e-mail just bounced back. 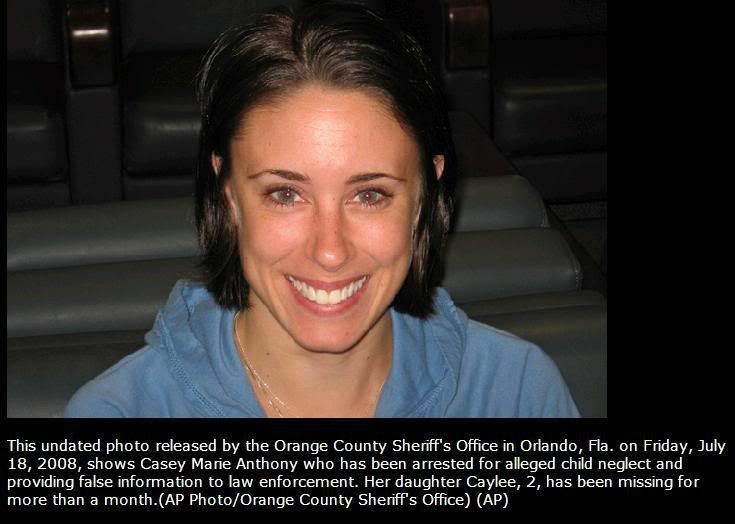 Casey said if she could get to her computer she might find Zanny through instant messaging. .
Casey Anthony was arrested, charged with child neglect, false statements, and obstructing a criminal investigation (and later charged for Murder). Jesse found Casey had deleted 200+ photos of Caylee on Facebook.